Every active Facebook user can log in on the terminal. The bot then immediately begins to process the data. 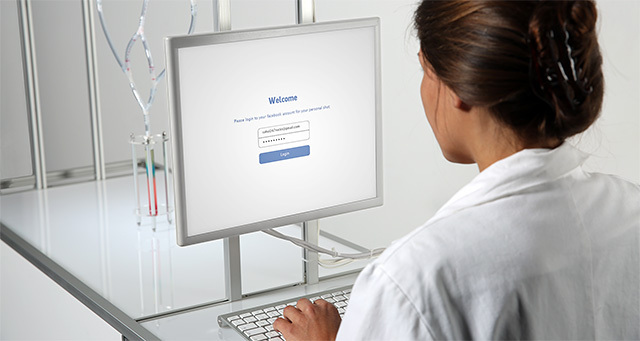 An algorithm developed at the University of Cambridge allows the computation of an individual personality analysis through the user’s Facebook. likes. 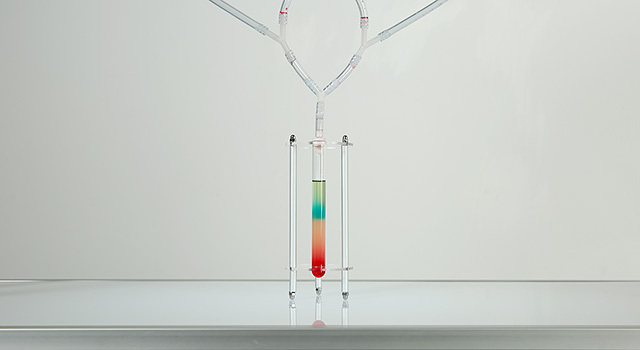 The valves open and the ingredients begin to flow down consecutively until they stack up layer by layer inside the test tube to form The Social Shot with an exact volume of 2cl. Each ingredient represents one part of the Big Five, a popular factor model used in personality psychology which reduces a humans personality to five fundamental traits. Each trait is paired with one ingredient for the drink. 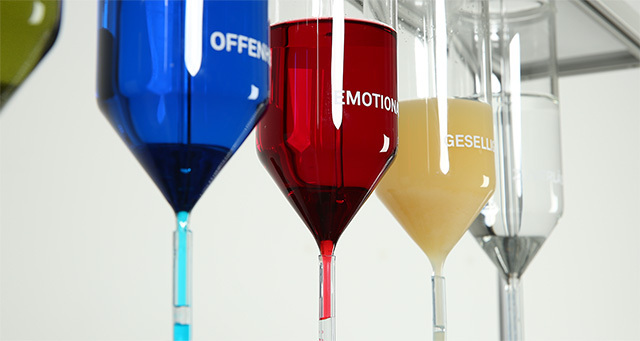 The percentage level of each personality trait controls the respective ingredients quantity in the overall mix. As a consequence, a Facebook user whose profile suggests a smaller amount of conscientiousness will receive a shot with less vodka. On the opposite, the Social Shot for a very faithful person will contain more alcohol. Looking at Google’s search results, one cannot simply comprehend how they are composed. The daily influence of algorithms grows constantly with many things which are often perceived as trivia. It began with the spam filter and now reaches up to scientific proof that in some cases relies solely on mathematical formulas. Algorithms influence our daily life, thoughts and actions constantly with many tiny suggestions and tools in the form of apps that use a variety of different personal datasets to generate personalized offers, news feeds and other content. 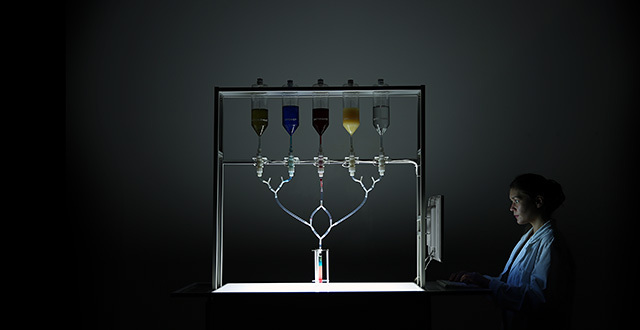 The Social Shot ironizes the mass customization of nearly every imaginable product with a drink that gets mixed right in front of the user’s eyes in a matter of seconds. The data for the perfect and personalized mix is acquired using the much-discussed social media platform Facebook. As in many cases, the exact algorithm stays a secret but the consumer can feel its impact when drinking the shot.